30th Jan 08 - Police have been spotted outside the public toilets on Cowley Road "testing" a mobile cctv camera. The successful campaign against hundreds of cameras in Birmingham (part of Project Champion) must be built upon (see the Birmingham Spy Cameras - No Thanks website). There are only three council/police cameras on the Cowley Road, with enough opposition we can get them taken down. See our Action page for details of the urgent action required. It has recently emerged that there are plans to install CCTV cameras in the East Oxford Community Centre (EOCC). This will make the centre less community-friendly and inclusive, creating an atmosphere of mistrust and opening up the possibility that the authorities may at some point demand access to the footage in order to monitor activist groups. This decision has been taken by a small group - the Management Committee - without consulting the wider community of people who use the centre. Please write to them ASAP and let them know what you think of the plan; if enough people get in touch they may be forced to reconsider. Simply copy and paste the email below and sign your name, or write your own if possible and send to eastoxfordcclist@no-cctv.org.uk (this email address will automatically relay the email to all members of the management committee and the administrator). (One alternative would be for a rota of volunteers to staff a reception desk of some sort; even if it weren&apos;t continuously staffed, it would still go some way to solving the problem. Please mention in your email if you would be prepared to volunteer in such a scheme). It has come to my attention that the East Oxford Community Association are proposing to install CCTV cameras at the Community Centre. I understand this is motivated by a desire to protect the building from break-ins and to increase the personal safety of staff. Although break-ins have occurred, fears of potential assaults on staff are as of yet unfounded, as far as I am aware. It is outrageous that such a major decision to infringe the privacy of the centre&apos;s users has not been put forward to that community. Furthermore, there seems no need to resort to so extreme a measure when alternative avenues - such as securing valuables to prevent burglary - have not been explored. The feeling seems to be that CCTV is needed at the community centre because &apos;anyone on Cowley Road can just walk in&apos;. But this openness is part of the beauty of the EOCC. Although it can cause problems, we need to find ways of dealing with them that make EOCC more accessible and welcoming to the local community, not less. Although some may perceive a gain of &apos;added security&apos;, it is important to consider what will be lost if CCTV is installed at the community centre; a shared communal space where individuals are trusted enough to have their privacy respected. Installing CCTV would be reinforcing the idea that members of the community should fear each other, and would cultivate a climate of suspicion - which is precisely the opposite of what a community centre should to do. The alienating effect and level of opposition to such a proposal, if it does indeed go ahead, should not be underestimated. A number of the user groups are grassroots community initiatives, fundamentally opposed to such authoritarian measures. Should the principle be approved, the installation of CCTV would be a betrayal to many of those who have worked hard to make the EOCC a thriving and positive community space. Three CCTV cameras have been installed on the Cowley Road, East Oxford. The surveillance cameras were officially switched on at a launch event which was simply an opportunity for supporters of state surveillance to gloat and serve up propaganda to local media. Traders, landlords, the police, local MP Andrew Smith and Labour Councillor Malik were on hand to tell reporters that the cameras will make the world a better place. Andrew Smith told reporters that he had surveyed residents and they were three to one in favour of cameras along the Cowley Road. No CCTV discredited Smith's so called survey back in November of 2007 (see the No CCTV report on the scheme). The letter that accompanied Smith's questionnaire said: "CCTV cameras have substantially assisted the police in reducing crime and disorder in the city centre, and it is clear that extending the system along Cowley Road would carry great benefits". 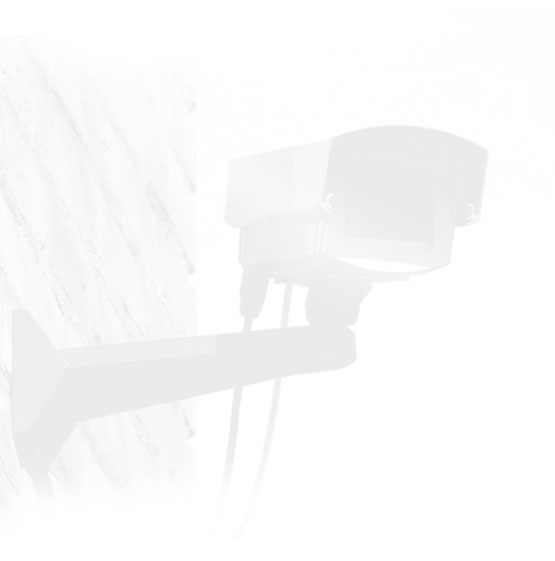 Asking people whether they want CCTV after setting a frame of reference that states CCTV is an effective tool is called 'skewed contextualising' and this has been detailed by Jason Ditton of the Scottish Centre for Criminology. This alone discredits Smith's questionnaire. Smith also said in the letter that there were 35 clubs and bars on the Cowley Road. In fact at the time he wrote there were 6 pubs, 29 restaurants/cafés, 19 takeaways and a music venue. His "survey" had no sampling criteria - his sample was primarily self selecting and we have no way of knowing who actually completed the questionnaires. It is distressing that Smith is allowed to misrepresent local residents with impunity. Jan Bartlett of Premier Letting agency, who the Oxford Mail have trotted out on a regular basis to sell CCTV to Oxford residents, was wetting her pants with joy at the introduction of the privacy busting paraphernalia at the tax payers expense. It was interesting that most if not all of the traders and landlords attending the launch to big up CCTV were not local residents. Is it fair that local tax payers fund cameras for local traders who mistakenly believe that it will protect their property? The decision whether or not to install cameras was surreptitiously taken away from the East Area Parliament back in April and given to the Oxford Safer Communities partnership, a quango set up under the Crime and Disorder Act 1998. Taking the decision away from any open and democratic arena was a sneaky way to hamper our campaign against the cameras. We did however achieve something nonetheless as the original plan that we campaigned against was for eight fixed cameras along the Cowley Road - the scheme is now three wireless cameras installed for a two year trial. We will continue to oppose the cameras and must ensure that the trial is conducted even handedly. If it is, then it will show that CCTV has no effect on reducing crime and should be taken down. We must also continue to educate the public as to both the dangers and ineffectiveness of blanket surveillance. We must not allow the installation of these cameras to go unchallenged, otherwise the police will simply seek to install more. Oxford police chief Supt Brendan O'Dowda made it his personal crusade to get CCTV cameras installed along the Cowley Road. He was joined in his quest by Andrew Smith MP and the Oxford University students' union. This campaign has been set up to counter their mis-information. NO CCTV presented a report to the East Area parliament in November 2007 urging them to look at the paltry evidence of cctv's effectiveness and to consider the dangers of cctv to local residents. Decisions by elected representatives should be evidence based and can have far reaching implications.